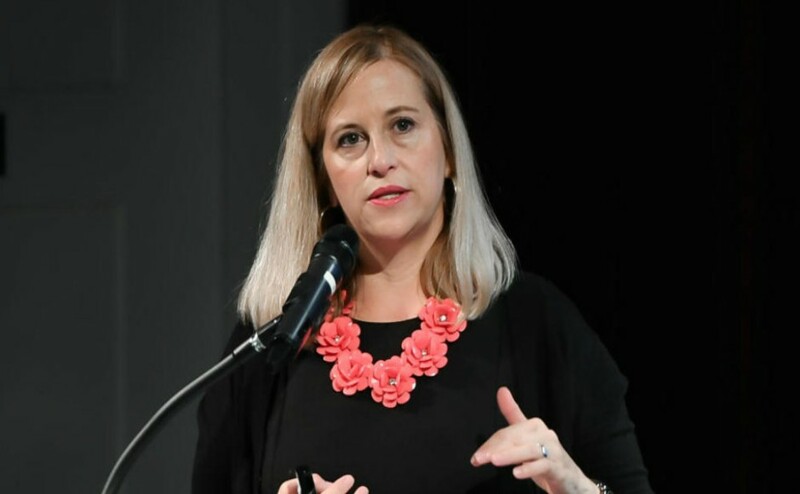 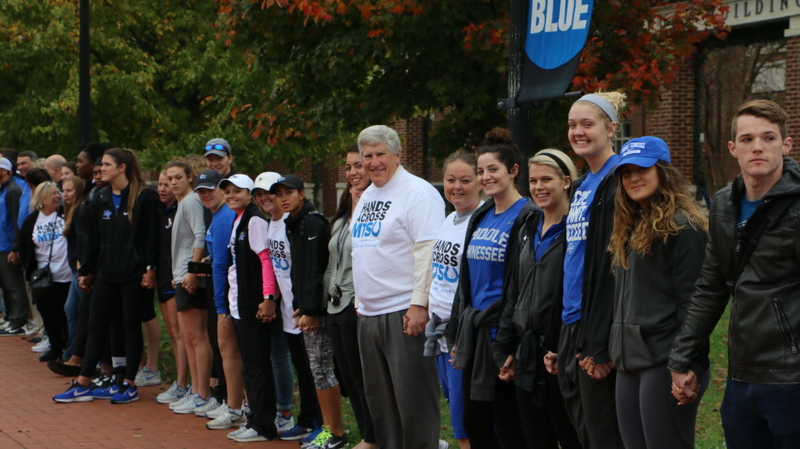 Hundreds of students, faculty and staff members gathered throughout the Middle Tennessee State University campus Monday to display an act of unity by clasping hands and creating a massive human chain, which spread from one side of the 500-acre campus to the other. 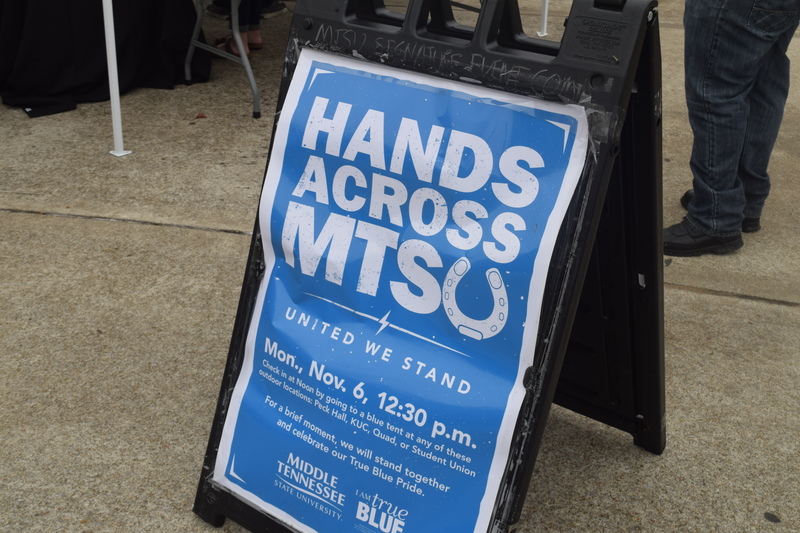 The event, titled “Hands Across MTSU,” allowed participants to check in at one of four tents, which were located at the Student Union, the Quad, Keathley University Center and Peck Hall. 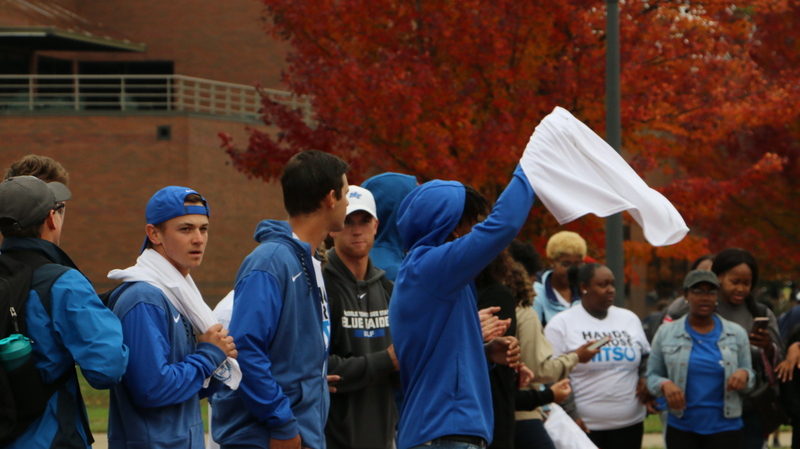 Participants were given a free Hands Across MTSU T-shirt when they visited the tents. 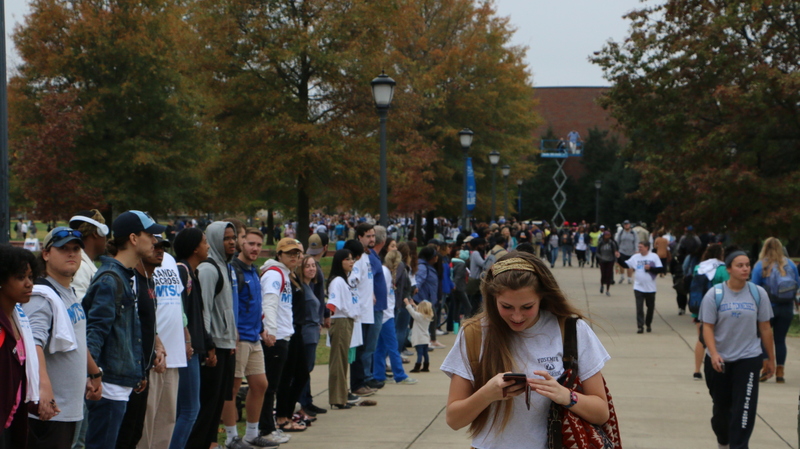 After check-in, the diverse crowd of MTSU representatives gathered on the sidewalks throughout campus and linked hands. 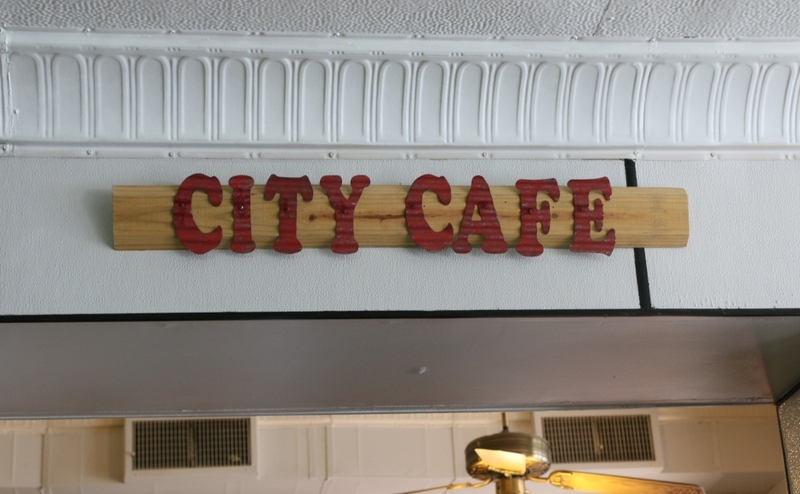 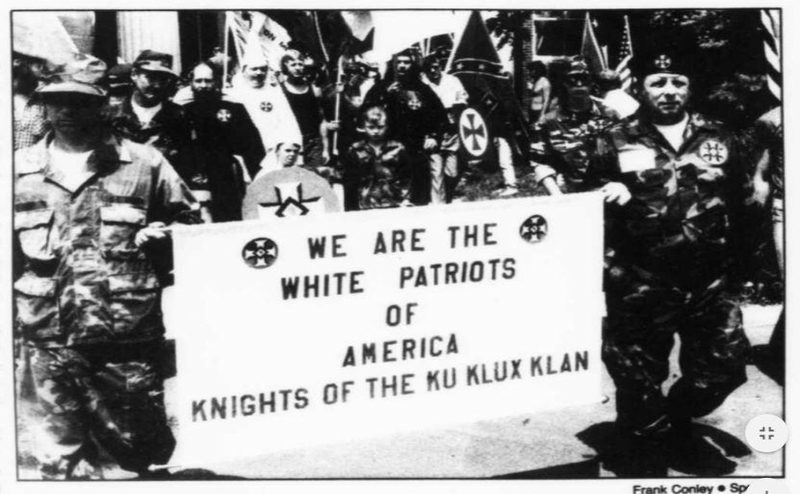 The unity demonstration came about one week after white nationalist organizations were to gather in Shelbyville and Murfreesboro. 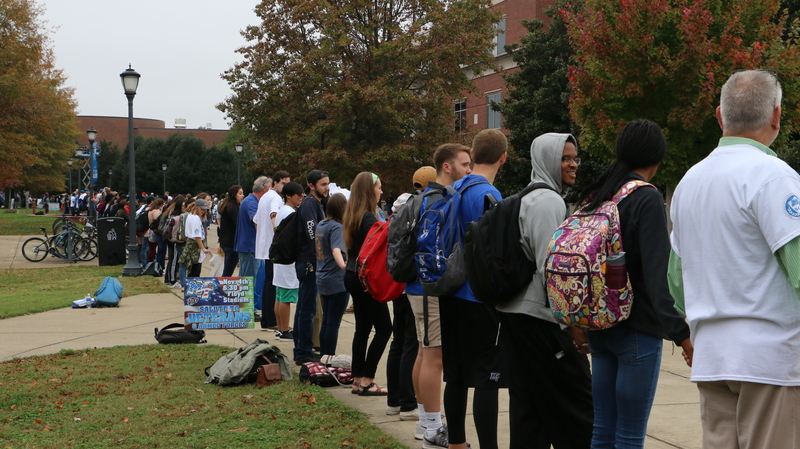 The Murfreesboro rally was eventually canceled, but many on the MTSU campus feel that it is still important to display that the community can be unified against white nationalist ideals. 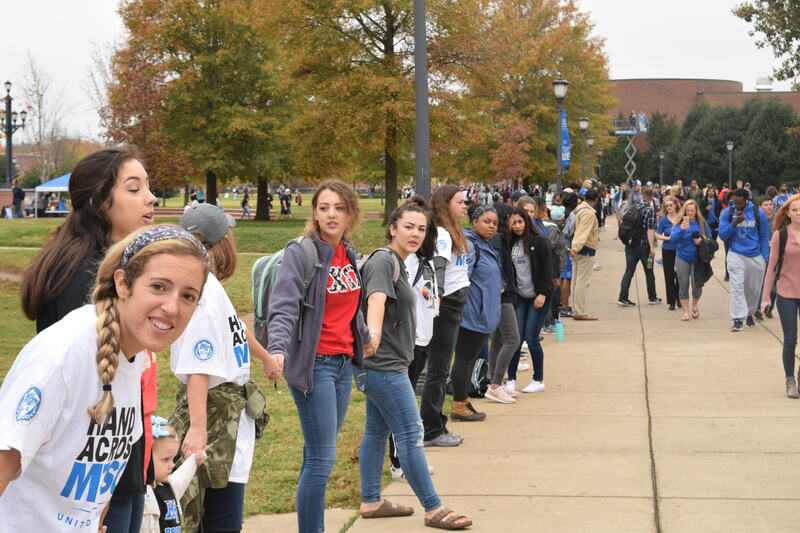 The event, which was sponsored by the Student Government Association and the MTSU Intercultural and Diversity Affairs Advisory Board, was not directly organized in response to the rallies but acted as a show of peace and love for the entire community to see. 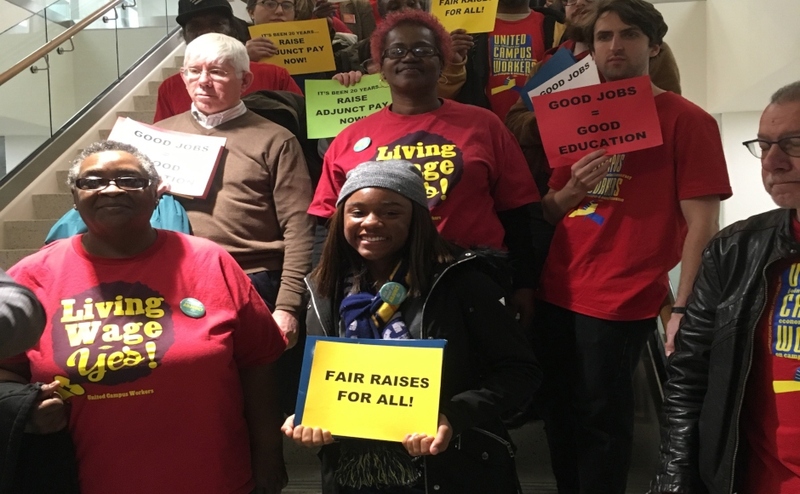 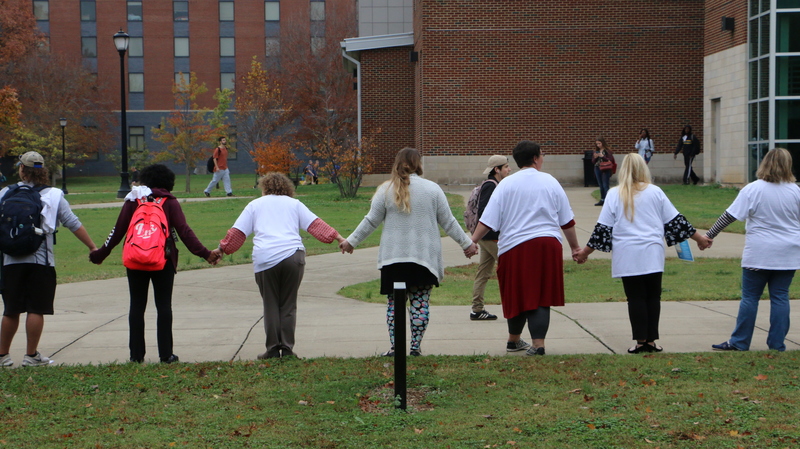 By the end of the event, the human chain stretched from the James Union Building to Student Union Building, which are two buildings that stand on opposite sides of the campus.